Have you ever had a conversation that went far deeper than the words spoken or an experience where you felt you had participated in something sacred? Although these situations may seem unexplainable, they are reminders that God's grace surrounds us constantly and shows up in manifold ways. 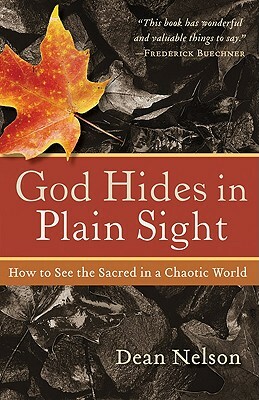 In this colorful, story-driven introduction to sacramental living, veteran journalist Dean Nelson offers all Christians a way to see the presence of God amid the chaos and monotony of everyday life. Each chapter emphasizes a different kind of sacramental moment, showing how it can be a lens through which we can see more of God. Dean Nelson (PhD, Ohio University) is founder and director of the journalism program at Point Loma Nazarene University in San Diego, California, where he serves as professor of journalism. He has written extensively for dozens of newspapers and magazines, including the "New York Times," "Boston Globe," and "Christianity Today," and is the author or coauthor of several books.